Growing up on a large dairy farm in western Massachusetts, there wasn’t much for my brother and I to do once our chores were done, so we spent the majority of our free time stalking Trout through the mountain streams that flowed across our family’s property. 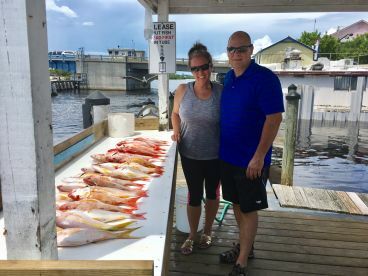 When I moved to Florida, I fell in love with the amazing fishery that is found in Sarasota and the surrounding areas including Tampa Bay, Venice, and Charlotte Harbor. 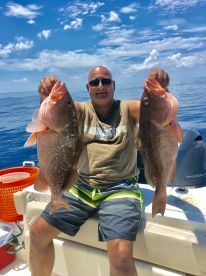 I was very fortunate in that one of the first people I met when I moved here was one of the best guides in the area and over time he taught me the intricacies and tactics for successfully fishing both the inshore and offshore waters of the greater Sarasota area. Now, many years later the area waterways feel more like home to me than any other place on Earth. 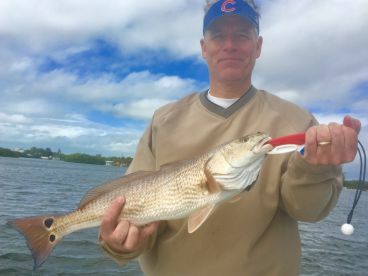 I am a light Tackle and sight fishing enthusiast, especially when the conditions are right on the flats or in the backcountry. 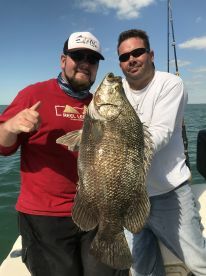 Light Tackle allows clients an opportunity to really go toe to toe with our area game fish in a much more fun and exciting way than with much heavier tackle. Cooler Temperatures / Hot Bite! 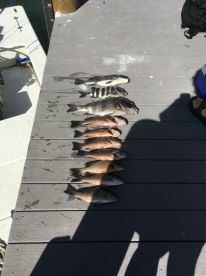 Grouper, Mahi, Snapper. Oh My! 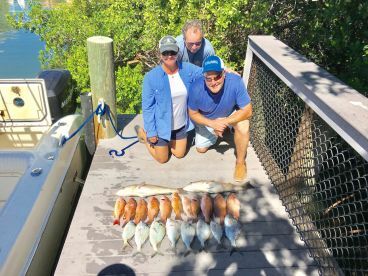 We had a great time yesterday afternoon with Capt Camille. He was awesome with my two sons ages 7 and 6. He was very patient and worked hard to keep the fish coming which kept my son’s entertained all afternoon. 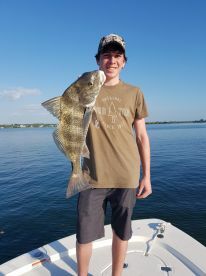 My son’s said they want to come back every year and fish with Capt Camille. Thank you for a great afternoon. 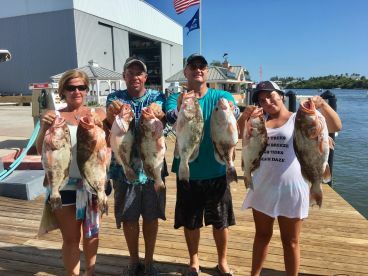 We had a great time yesterday afternoon with Capt Camille. He was awesome with my two sons ages 7 and 6. He was very patient and worked hard to keep the fish coming which kept my son’s entertained all afternoon. 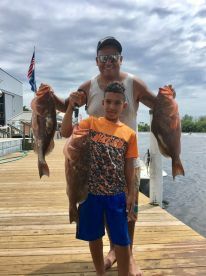 My son’s said they want to come back every year and fish with Capt Camille. Thank you for a great afternoon. Mark B. Thank You. It was our pleasure, and we look forward to seeing you next year. Capt Camille was awesome,working hard to make my experience the best! 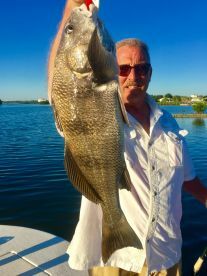 This fishing guide knows how to make his clients relax, and teaches you about the different fish that you will hunt for, thanks for a great trip Capt Camille,looking forward to next year, save me a big silver king,for my fly!!! Captain Camille was amazing. Great guide who was was disappointed in the fish we were catching. Added some free time at the end trying make end at his expectation level! Even offered discount when we come back. Never gave up the whole time. When fishing is this area he’s you guy! Captain Camille was amazing. Great guide who was was disappointed in the fish we were catching. Added some free time at the end trying make end at his expectation level! Even offered discount when we come back. Never gave up the whole time. When fishing is this area he’s you guy! We are glad you enjoyed your trip. It was our pleasure. 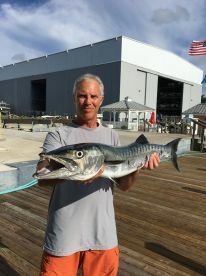 Great trip considering the red tide issues. 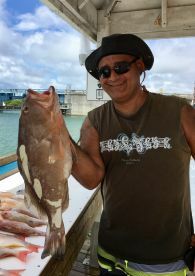 Captain Cam was very friendly and knowledgeable and put us on fish in a short time. 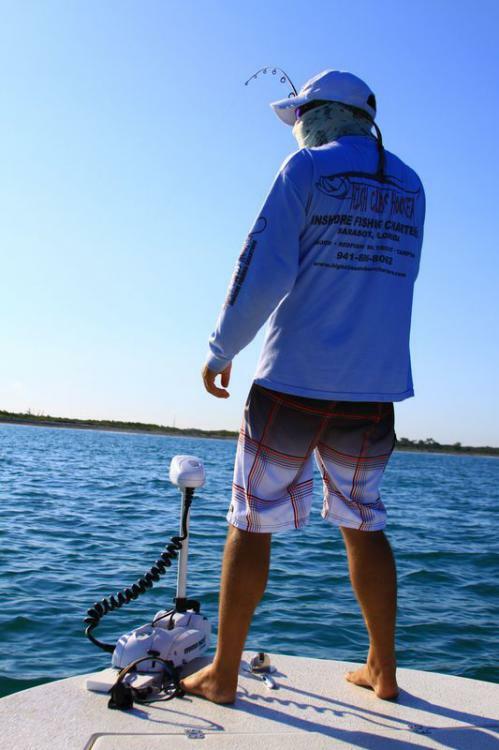 He found Tarpon but they were not biting (not the captain’s fault as he was almost casting into their mouths). 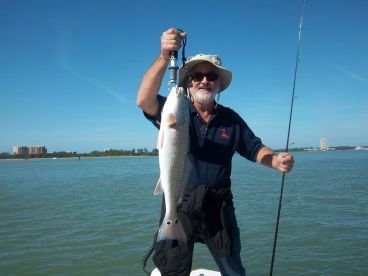 We caught 20-25 fish from fiesty Snappers to a decent Redfish. He was great with my two kids and took care of everything. I’ll be going out to the gulf for a full day next trip to Florida. Thanks Captain ! !